Background:This is a millstone of sorts. I have not mentioned this on the blog but I started a spread sheet a while back to document my craft beer experiences. Actually I was having a hard time remembering what beers I had and whether or not I liked them. So I started logging entries on a spread sheet to keep track of them. At any rate I updated my spread sheet today and realized that this beer will be my 600th beer. And this is my 193nd review on the blog. So what about the beer? I saw this collaboration beer at a beer store and just picked it up an impulse. Any craft beer enthusiast appreciates the brewing craftsmanship of Stone, Victory and Dogfish Head so I just had to try this collaboration ale. 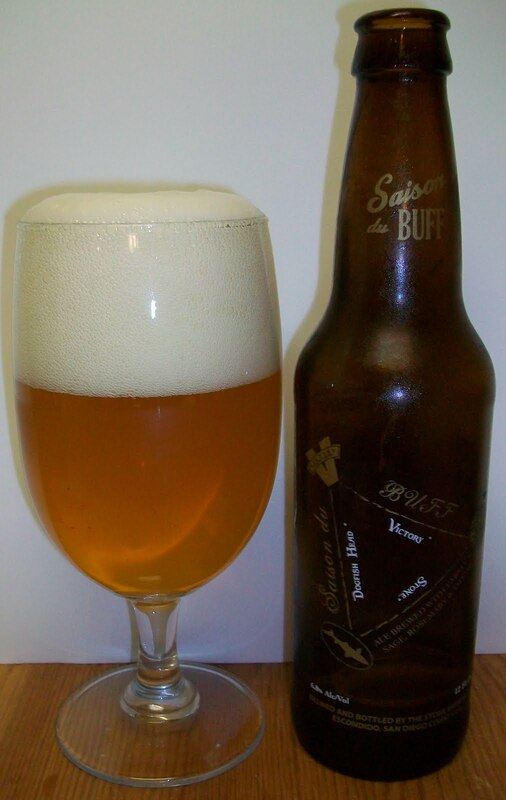 Plus I am a huge fan of the Belgian Styles including the great Saison/Farmhouse ale. 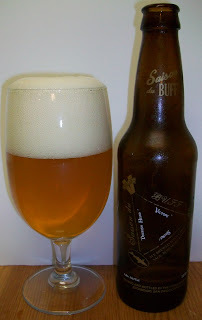 Review:The beer pours a slightly hazy pale straw with a fairly rich bright white head. What the heck is that? Sorry this is the most unique nose ever; at least very unexpected. The nose has a lot of spice almost cinnamon like with pepper and citrus notes. These are very unique aromas and also very strong aromas for a such a pale ale. Wow, the taste is as unique as the nose, maybe even more so. I’m going to have a hard time describing this one. I am really dumbfounded and don’t know how to explain this. The first experience just left my head spinning. This may be the most unusual beer that I’ve ever had. Well in the sense that it doesn’t keep to any real style. Every sip that I take changes from the previous sip. I am really picking up something different with every sip making this next to impossible for me to explain. The usual up front on the tip of the tongue malt sweetness is not there. The first sensory experience is a tingling spicy sensation on the tongue. The tingling carries throughout the middle of the sip. There also seems to be a building bitterness and funkiness in mid-sip. The most unusual thing is that the bitterness. It does not seem to be a hop bitterness and these are not roasted malts either so the bitterness can’t be from that. The back-end has a building intensity but it is also fairly easy to swallow. The intensity is mostly a bitter spicy flavor. The finish is like a tangy Christmas Beer, yes I said Christmas. The spicy notes on the finish remind me of cinnamon and junipers that you would have in a Christmas beer. The final after taste is a unique tang of lingering citrus and spice notes. My tongue is actually tingling from this experience. I’m not sure how this sounds. It is really a good beer; actually it’s a great beer. It is just extremely unusual. I am really picking up different things with every sip. Especially now that it has warmed up a little. We are now at 62 degrees. Just when I thought I couldn’t experience anything else in the sip the final aftertaste in this sip hit me as a tart almost Flemish note out of nowhere. At this point I think I’m enjoying the artistry of this beer more then I’m enjoying the flavors. We are now at 67 degrees. This is just one phenomenal brew. It is incredible to take a sip now and then and experience the growth in flavors of this beer. This complexity reviles any Belgian. It is amazing that all of these flavors are coming out of such a pale beer. This truly is an Artisan beer. We are now very close to room temperature and I’m nursing his delicious brew for all I can. With all of these flavors I neglected to tell you that this beer also has a fairly dry finish. Wow, this was really a unique experience. Just for the artistry along this beer is an A+. I am really taken back by this unique and phenomenal brew. This is truly one of a kind; a real masterpiece.